You can send a personalized Email Newsletter to any group of contacts exactly the same way as you would send a one-on-one email. To send an email newsletter, navigate to the group of contacts in the left vertical Groups tab, then click Newsletter button. 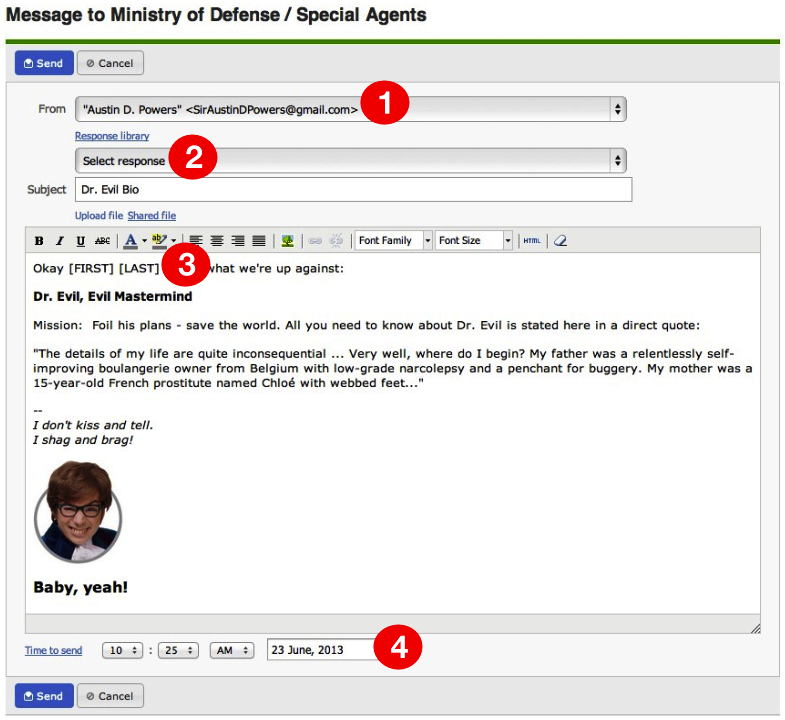 Select Email Identity to send email from. You can insert pre-written text from the Response Library. Use Merge Tags to personalize your message. Each recipient will see his/her own name and email in the “To:” line. This certainly takes mass out of mass email, doesn’t it? You can send your newsletter right away, or schedule it to be delivered at a certain time in the future.